Airport traffic was halted completely for over three hours while the dust settled and the air cleared, allowing planes to again arrive and depart without disruption. 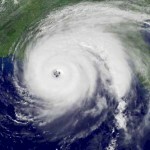 The storm was actually sufficiently forecast as to allow public schools to be closed in sufficient time to permit students to get home safely ahead of the storm. 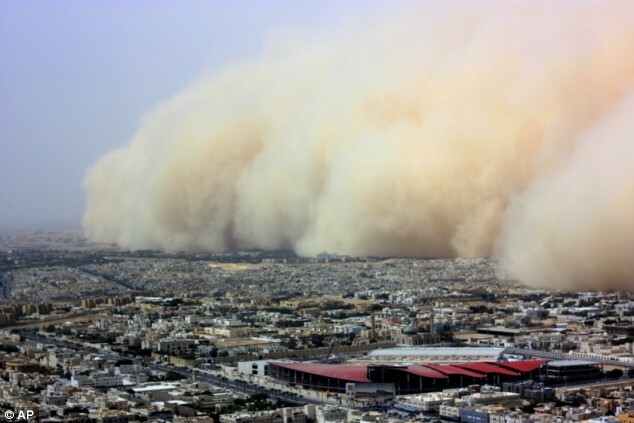 Sandstorms are caused by strong winds blowing over dry, loose sand and soil, picking up enough of the sand and soil such that the air is filled and visibility is substantially reduced. Hot and dry conditions that are frequent in the Arabian Peninsula routinely create the type of atmospheric instability that lends itself well to sandstorms.Â When the soil and sand are dry, they heat up much more quickly under intense sunlight.Â Such rapid heating causes air close to the ground to rise rapidly into the upper levels of the atmosphere, sweeping the sand and soil to higher altitudes. 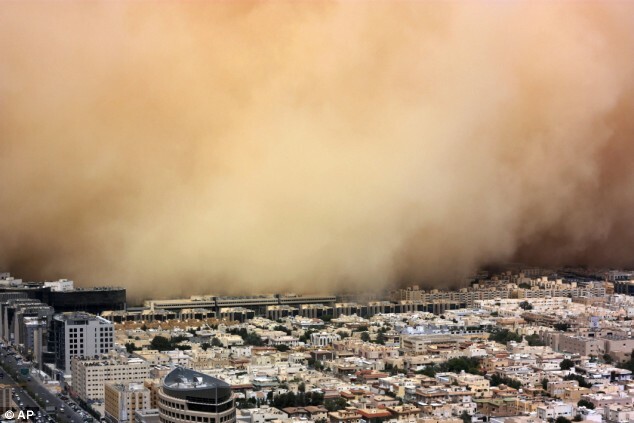 While such sandstorms were more frequent in the drought-stricken areas of the 1930’s dust bowl era, they are much more rare today as widespread agricultural irrigation has reduced the overall areal coverage of soil that can sufficiently dry to create the conditions necessary for a dust storm.Â The smaller scale events that may still occur in the desert southwest are often referred to as dust storms in the United States. 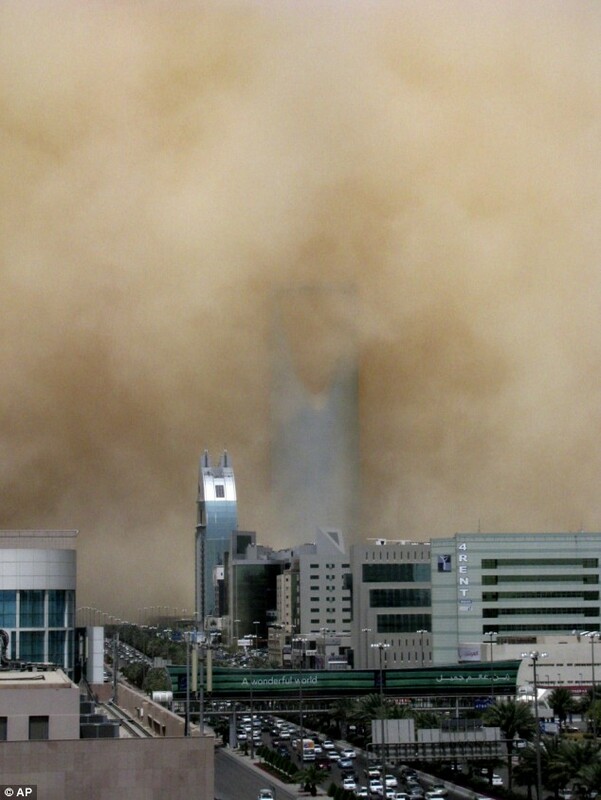 A crippling duststorm shrouded the Saudi capital of Riyadh on Tuesday, halting transportation for hours.Â (Credit:Â AP). LIKE WOAHHHH!!!! this is the best stufff ever dood!!!!! 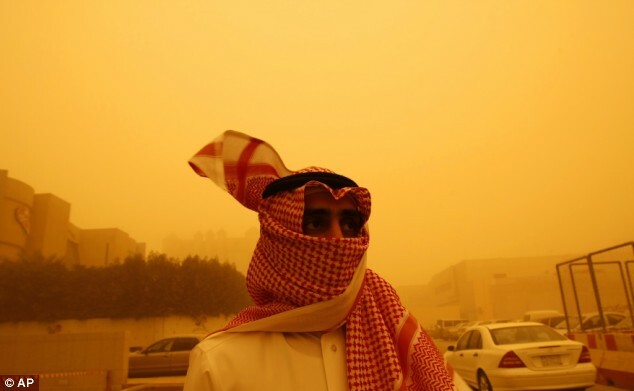 I live in KSA, Riyadh…i remember this sandstorm which occured…The weather was too bad! 🙁 …everything was just YELLOW!